Ultimate is a seven-a-side team sport played with a frisbee. It mixes the best features of sports such as soccer, basketball, american football and netball into a simple yet fascinating and demanding game. 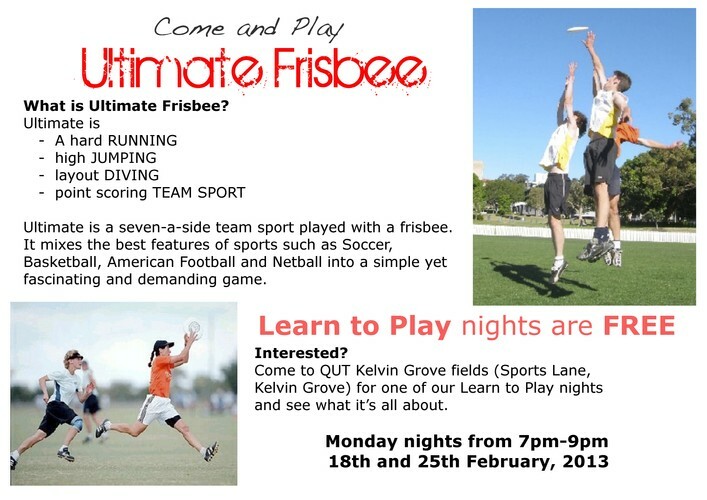 Come along for a free evening of ultimate frisbee. Learn the skills and rules from some of the best players in Brisbane, and then play it yourself! Bring a white and dark shirt, cleats or running shoes and water bottle.